The Bioeconomy Strategy is an umbrella for long term sustainable development in Europe and is Europe’s response to key environmental challenges the world is facing today. 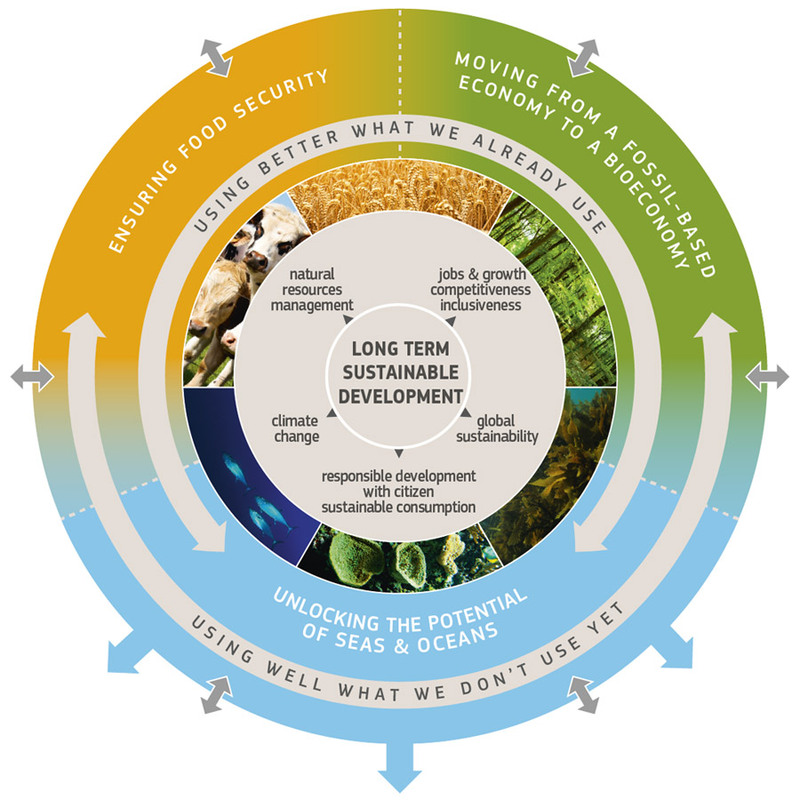 The Bioeconomy Strategy aims to reduce the dependence on natural resources, transform manufacturing, promote sustainable production of renewable resources from land, fisheries and aquaculture and their conversion into food, feed, fibre, bio-based products and bio-energy, while growing new jobs and industries. Several European Commission departments, together with DG Research and Innovation, have co-signed and launched the Bioeconomy Strategy in 2012.
ecosystems restoration and biodiversity enhancement will be impacted. Worldwide, various governments are in the process of implementing their own bioeconomy strategies and have aligned, alongside the European Bioeconomy strategy, to create an International Bioeconomy Forum. The aim of the International Bioeconomy Forum is the development of a global and sustainable bioeconomy which addresses international challenges. The platform will organise ad-hoc working groups that can guide cooperation on a number of research and innovation priorities and horizontal activities. A European Commission led working group focusses on the microbiome and is supported by the MicrobiomeSupport project. Find more information on the European Bioeconomy Strategy here and the International Bioeconomy Forum here.